The last 6 months with locs have been very interesting, transformative, and revealing. Despite this being my 3rd set of locs, the locking process for this set of thick locs has been very unique and filled with a few lessons. In the last 6 months, my hair has evolved from silky rope twists to matted baby locs. 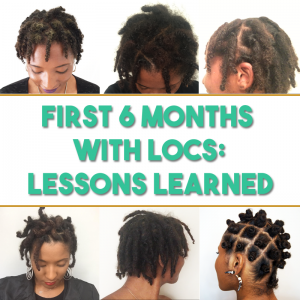 The 3 biggest lessons that I’ve learned in the first 6 months with locs are the benefits to starting with twists, the expectations of a retwist, and how styling affects my hair. With my last set of traditional locs, I started them with backcombing because I was very skeptical of the lines disappearing if I started them with twists, but this time I opted for twists and I’m so glad that I did! First, I have to say that the lines do disappear— and relatively quickly might I add with proper maintenance. 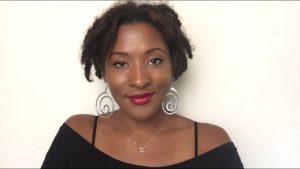 I do still have a few lines visible in my locs, but why I personally really enjoyed starting with twists is because they gave my fine hair a fuller appearance AND I was able to shampoo often with minimal unraveling. 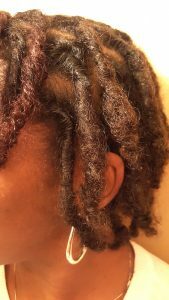 Although, the occasional loc would unravel after a shampoo it was much easier for me to twist it back together than to grab a comb and reestablish a coil. 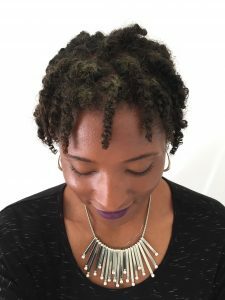 So if you’re debating between the two (coils or twists) I would definitely recommend twists! 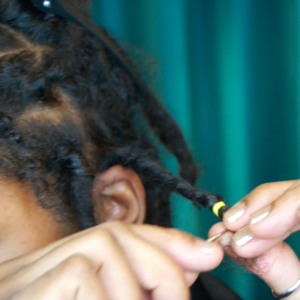 In the early months of the locking process, it is important to cultivate or retwist the hair once a month, regardless of the sizing you want the locs to ultimately be. For me, even though I’m aiming for thick locs, I still have been retwisting my locs about every 4-5 weeks. However, because my locs are bigger and I only use aloe vera gel based products (or sometimes no product at all) my retwist definitely doesn’t last until the next retwist. 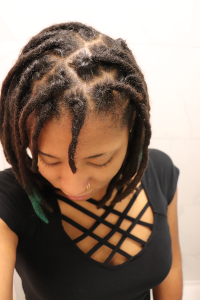 Within the first 4 months my retwist might have lasted at most a week, but now I’m noticing that my locs stay in formation even after shampooing and I can still see my parts 2+ weeks later! So the biggest lesson in that is how important it is to set your expectations early on for your retwist. 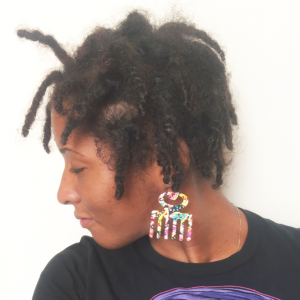 You shouldn’t think of the retwist as a style that’s suppose to last weeks because the purpose of the retwist is to help cultivate and shape the hair as the locking process is taking place. You may have noticed that my favorite (read: only) style that I do on my locs right now is Bantu knots. I love Bantu knots because they show my partings and help to control my frizzy, fine hair. I don’t do more styling with my locs at this stage because frequent styling early on causes inconsistencies, lumps, and bumps in the locs. I do have a few locs that have bunched up due to the bantu knot styles, so because of that lately I’ve been letting my locs hang free more often than not.